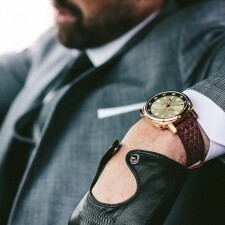 The premium watch market is fiercely competitive, and any newly-minted company that wants to break into the biz and stay in it had better bring its A-game. 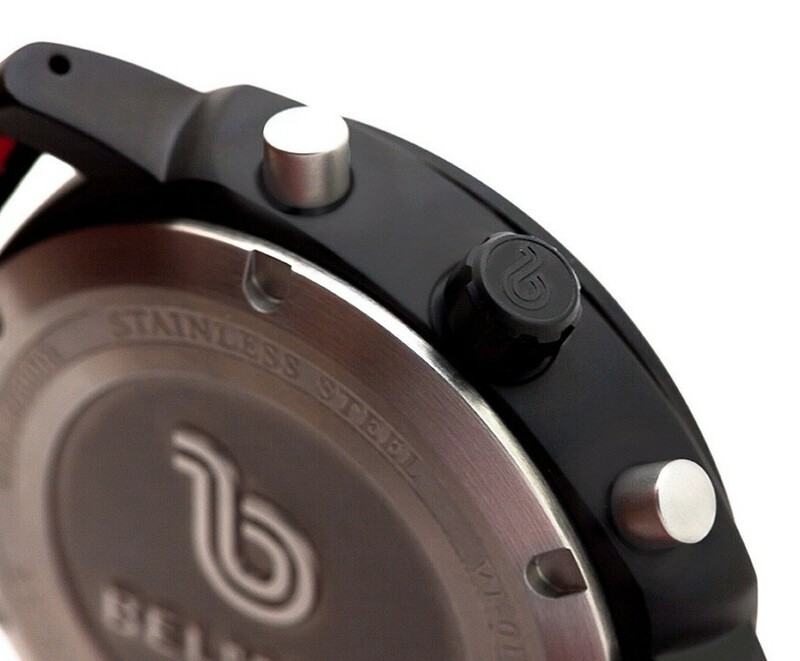 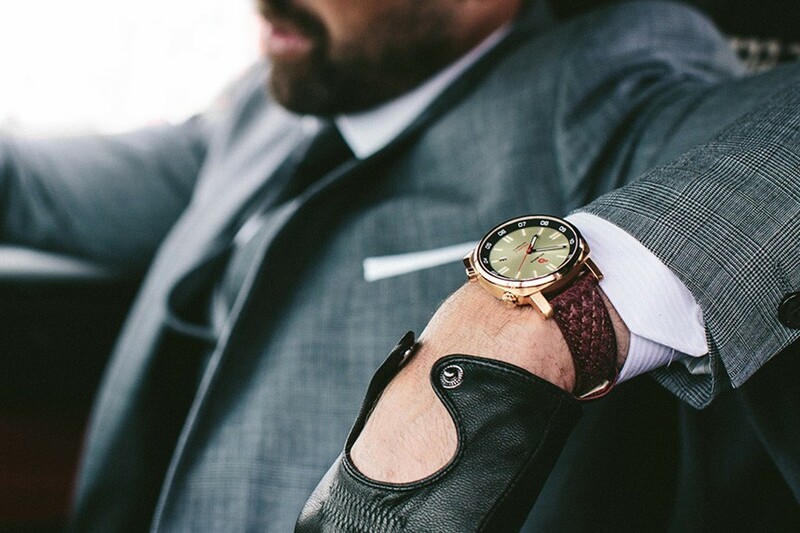 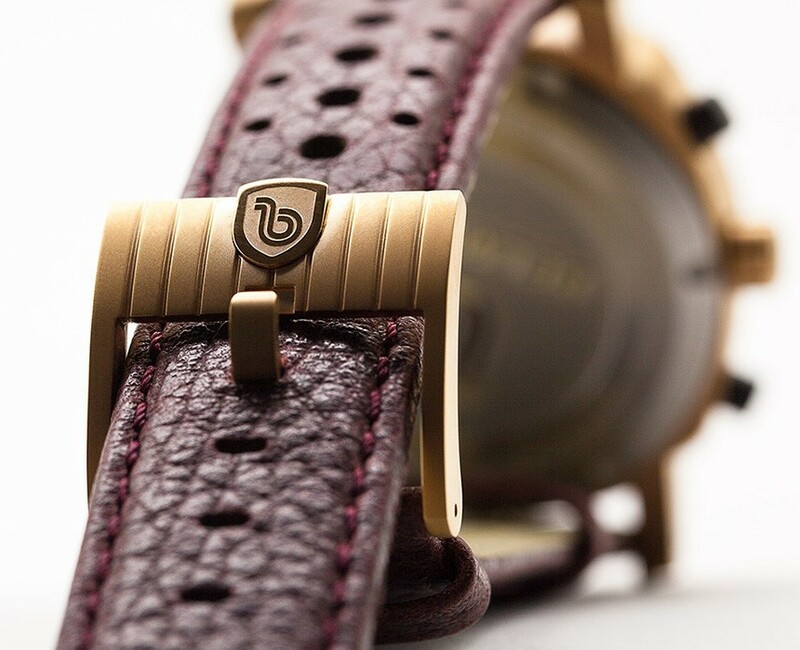 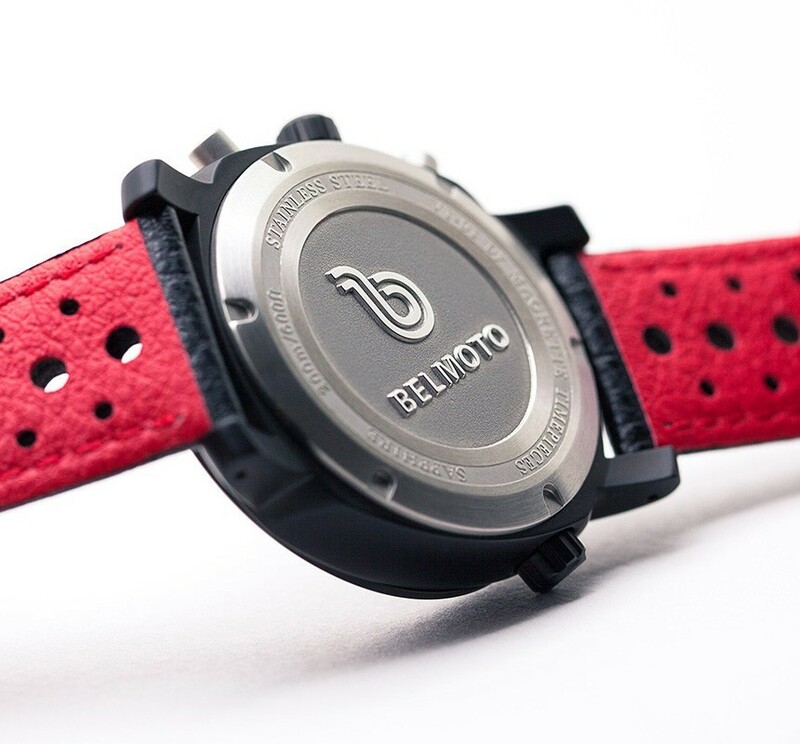 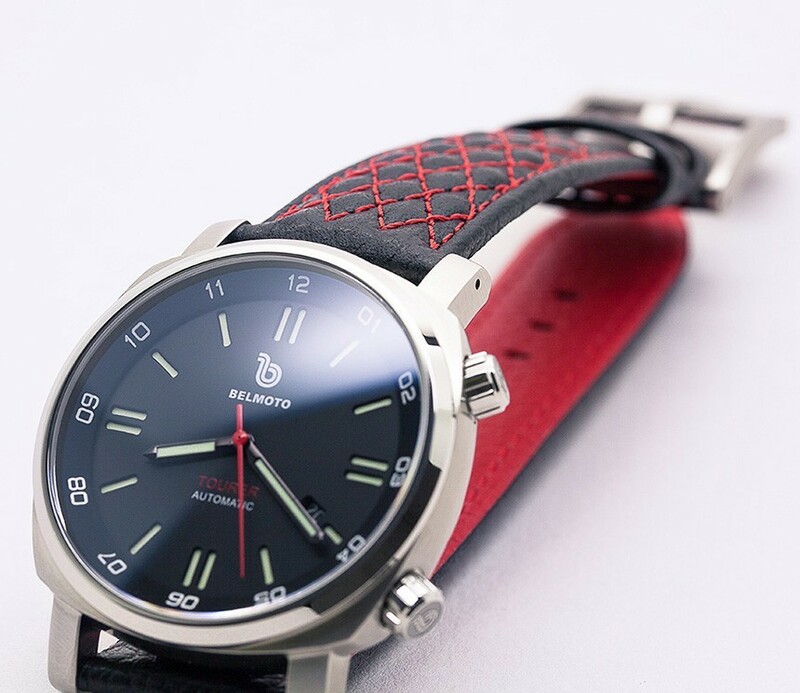 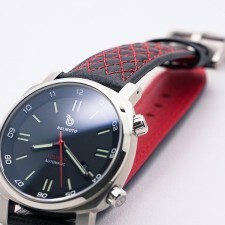 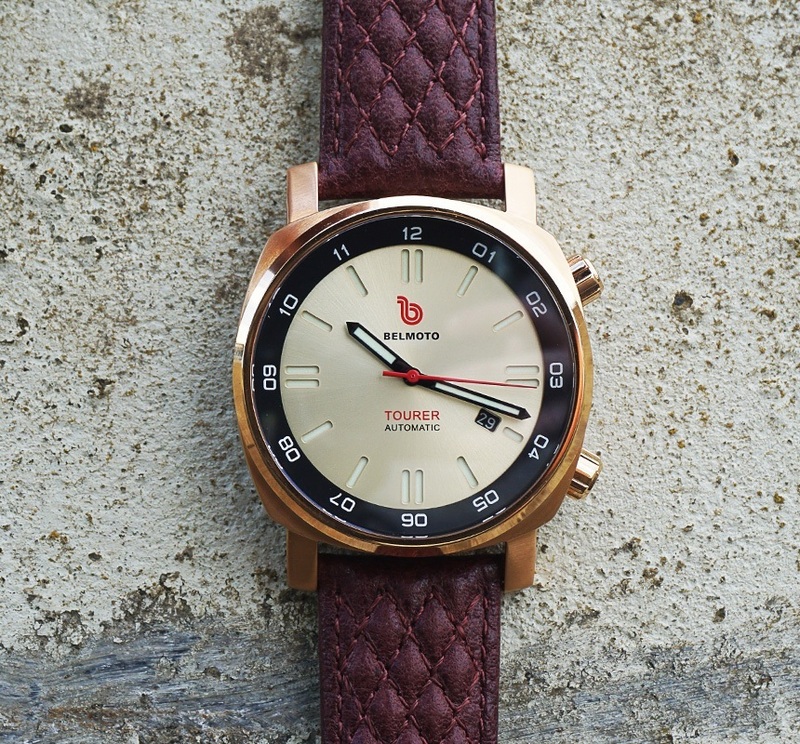 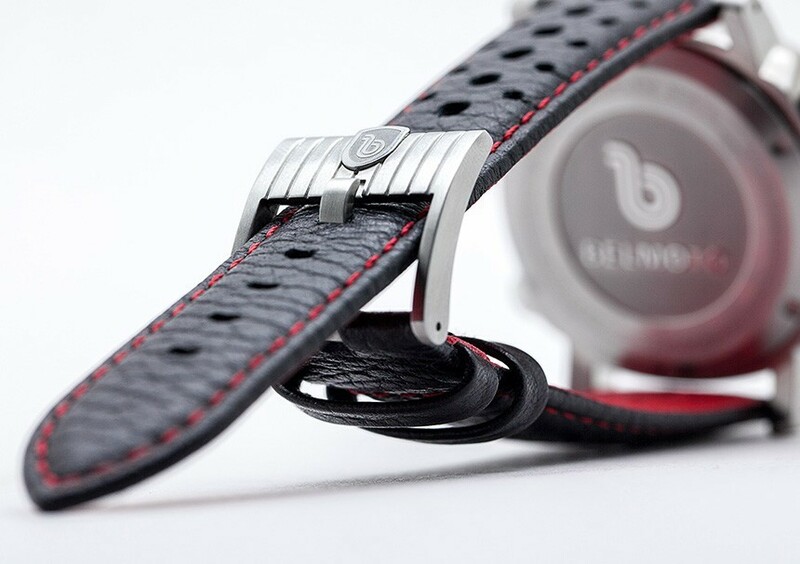 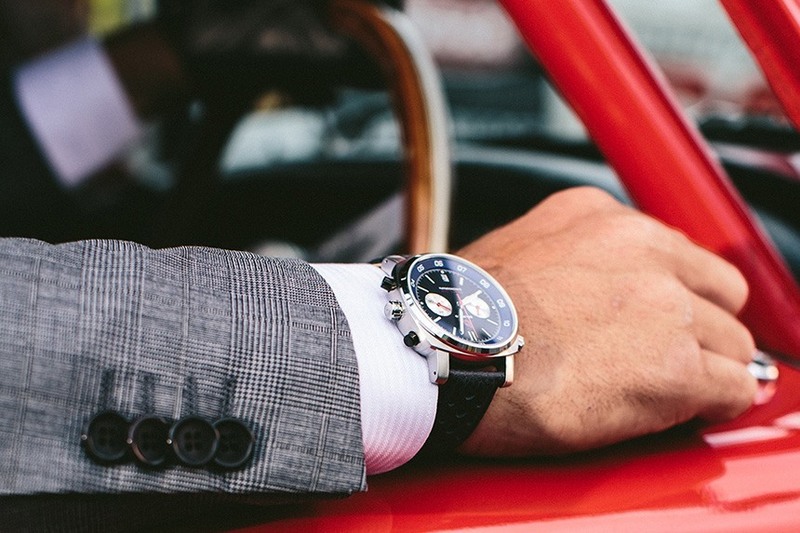 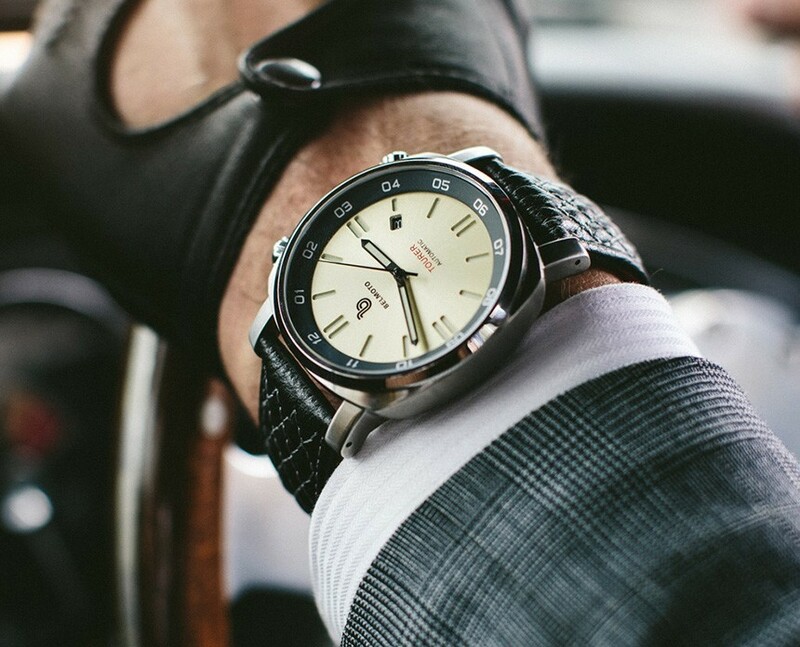 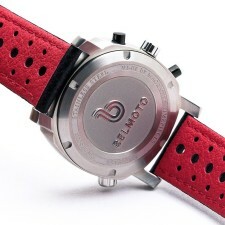 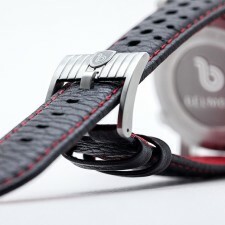 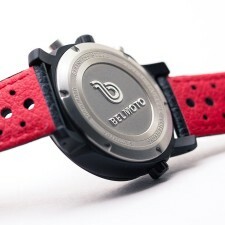 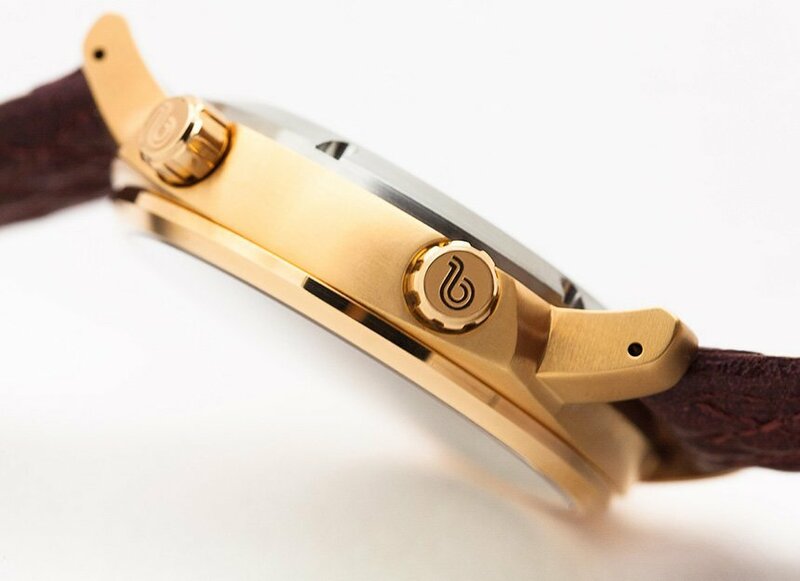 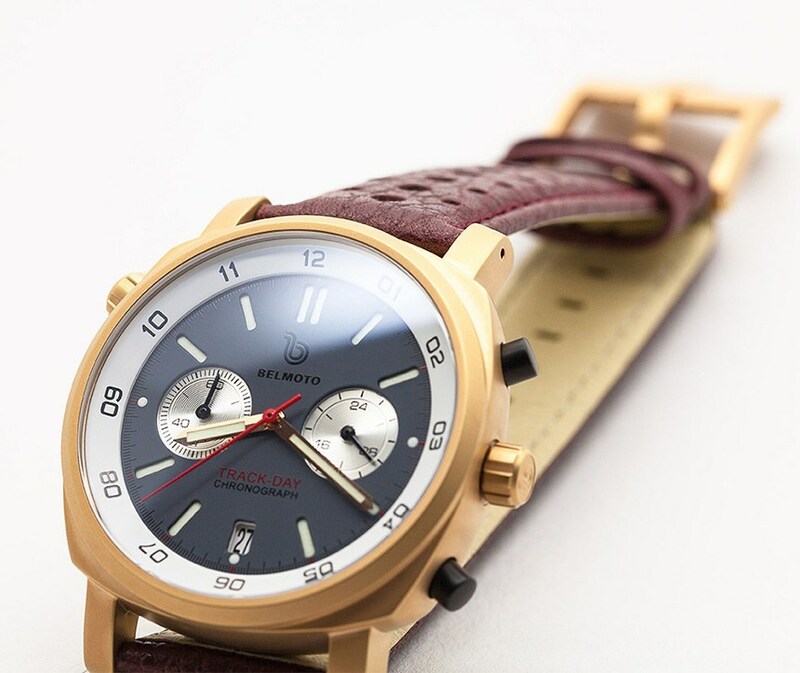 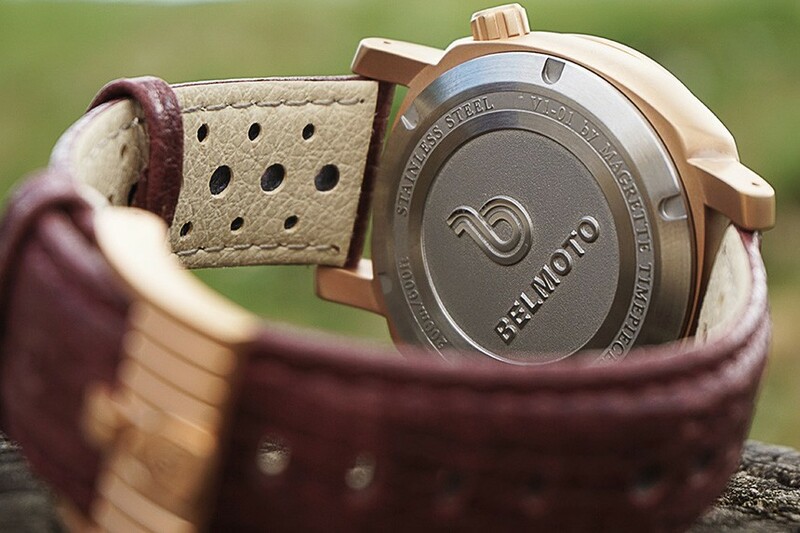 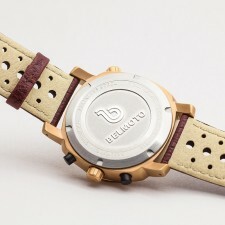 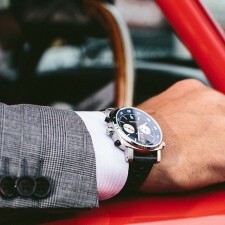 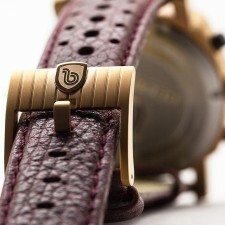 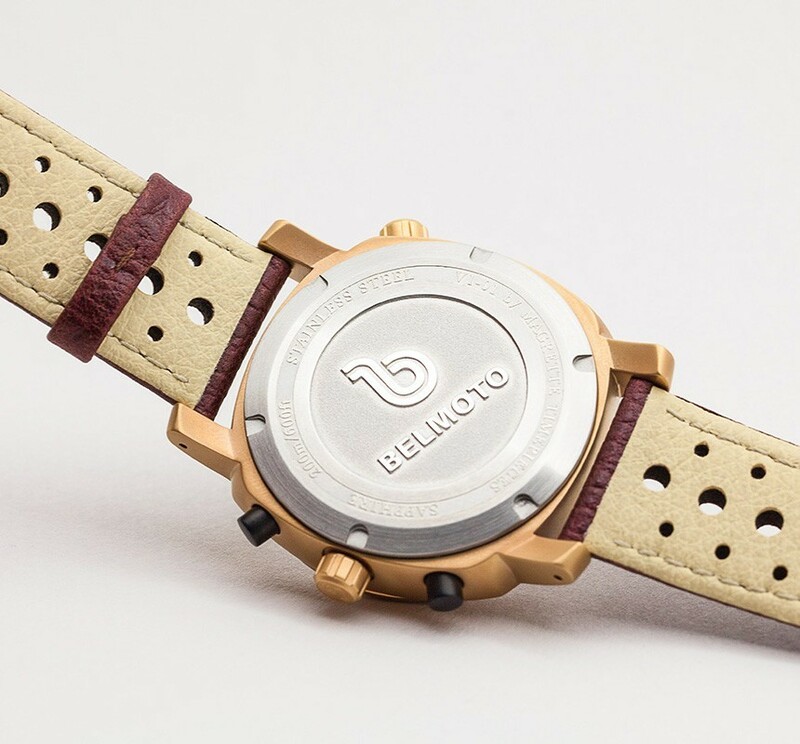 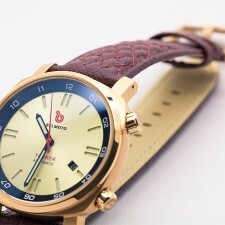 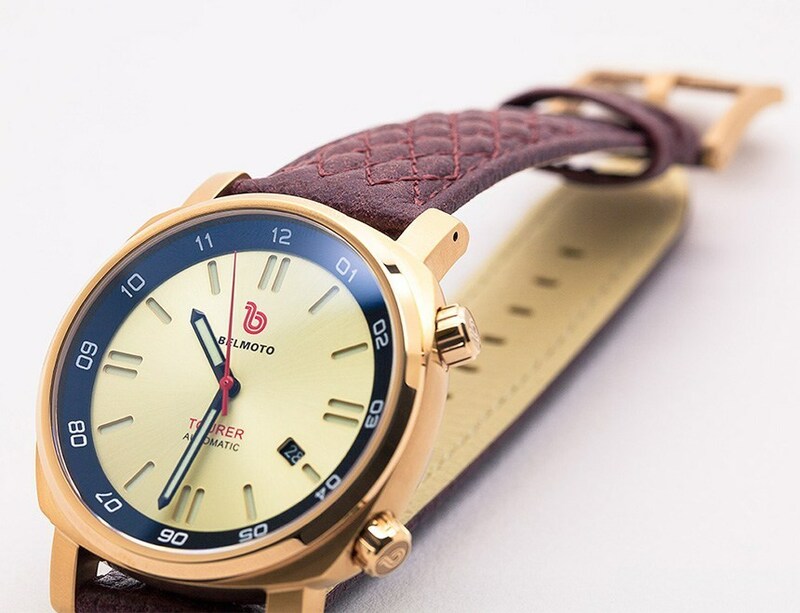 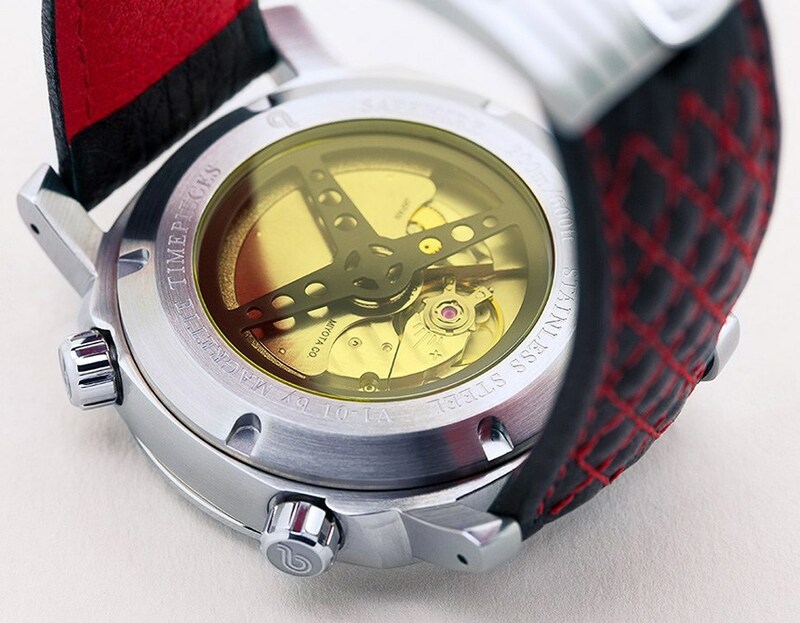 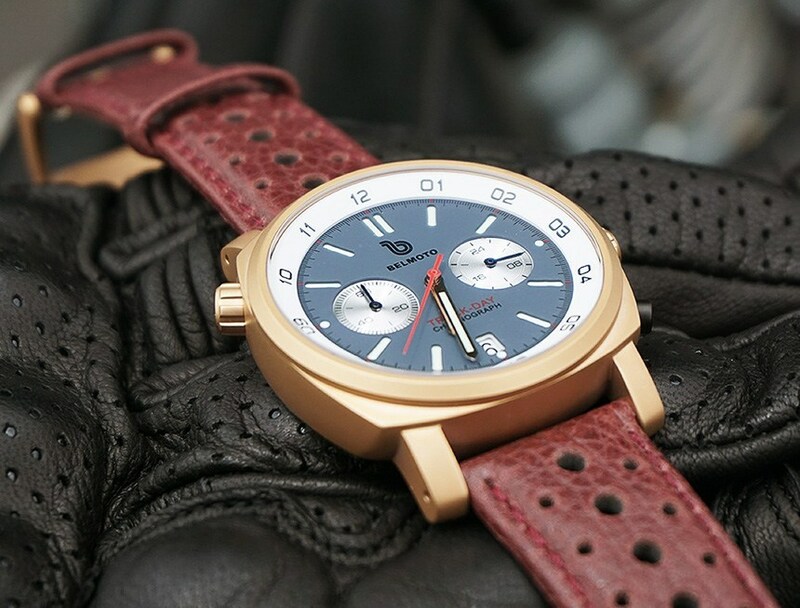 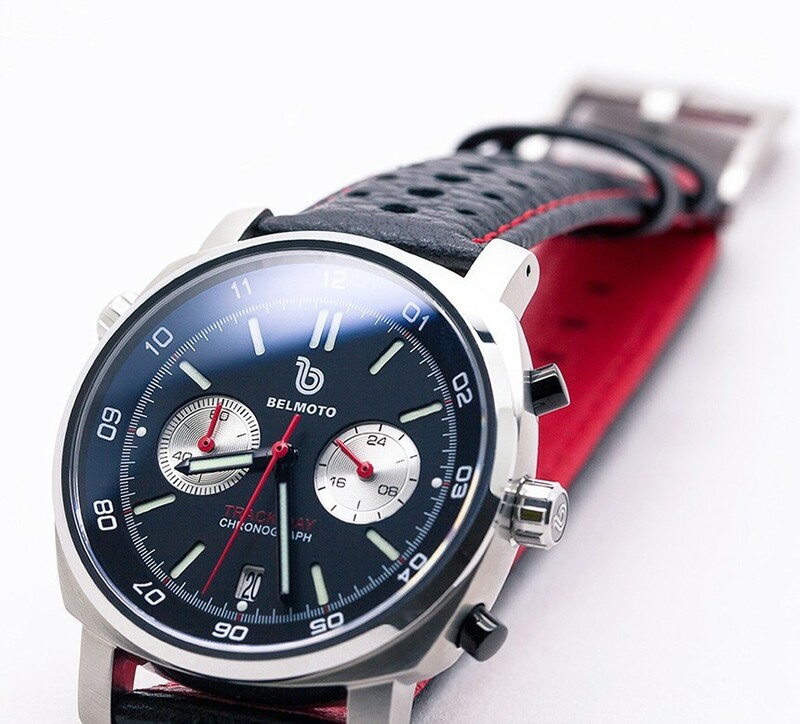 And a startup watchmaking outfit out of Auckland, New Zealand called Belmoto (which, like Magrette Timepiece, was established by one Dion McAsey) has burst onto the scene with not one but two motoring-inspired watches that are sure to turn heads. 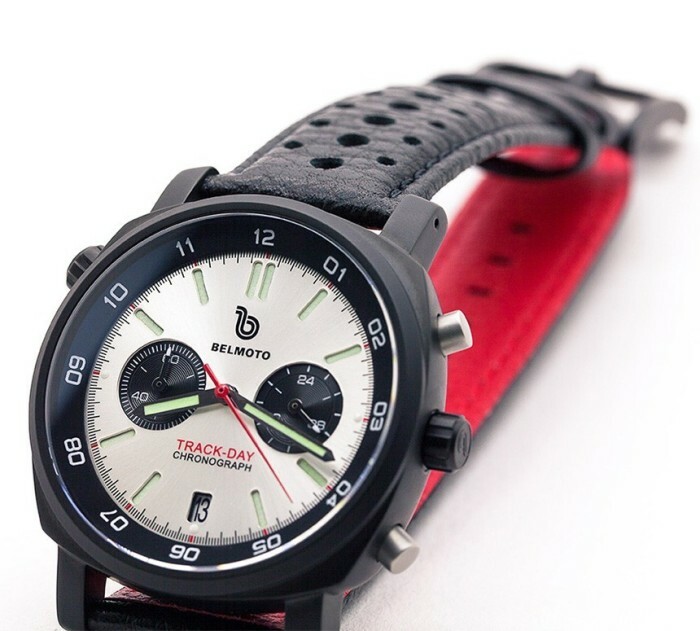 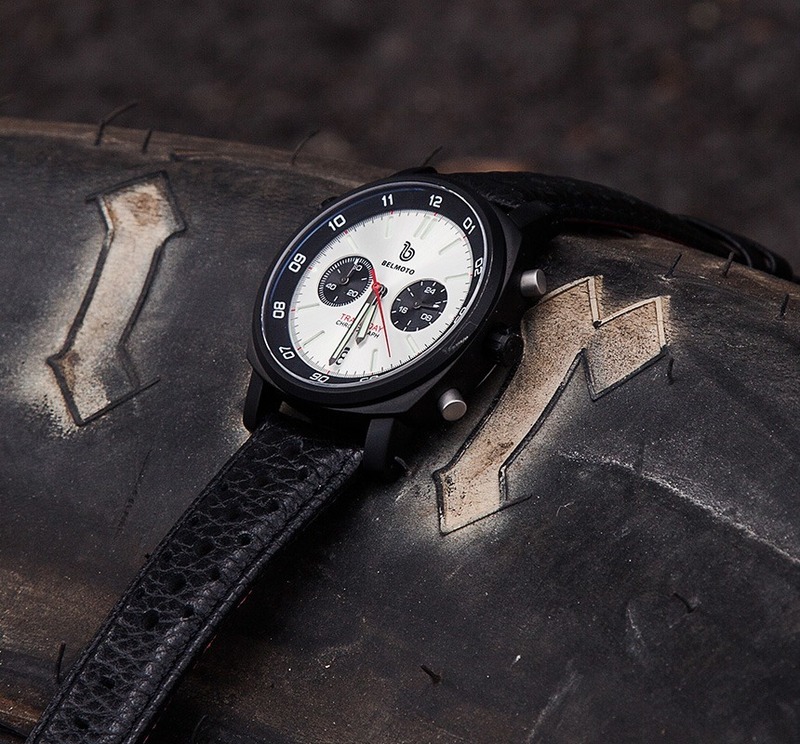 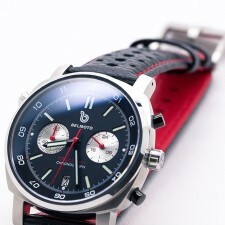 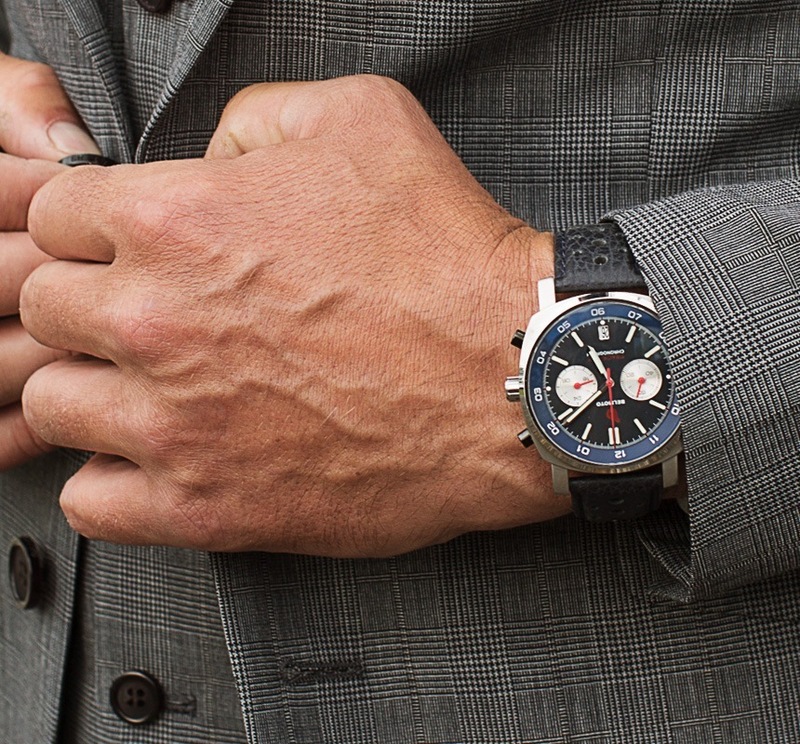 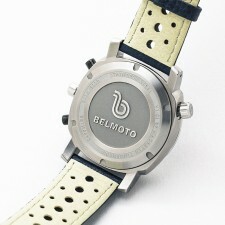 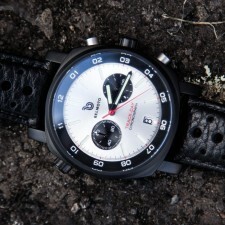 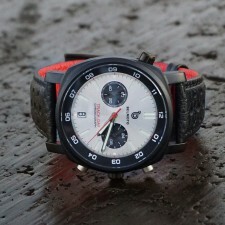 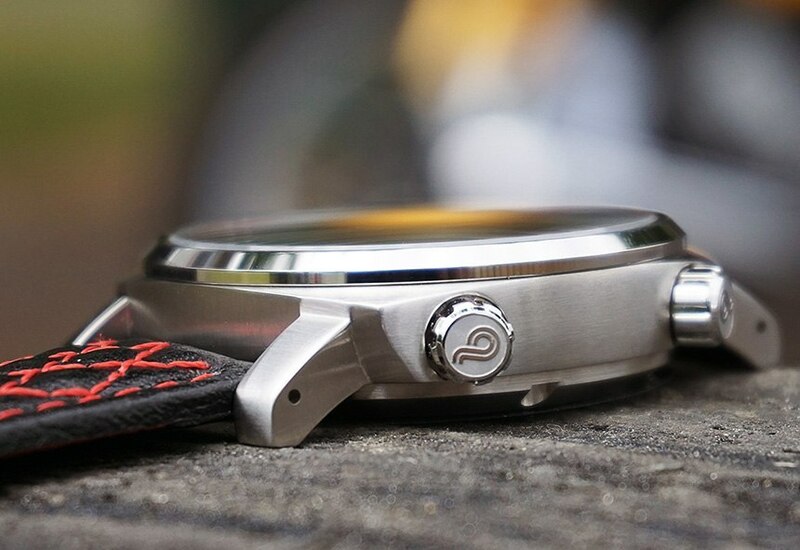 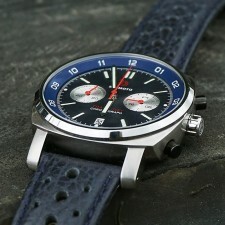 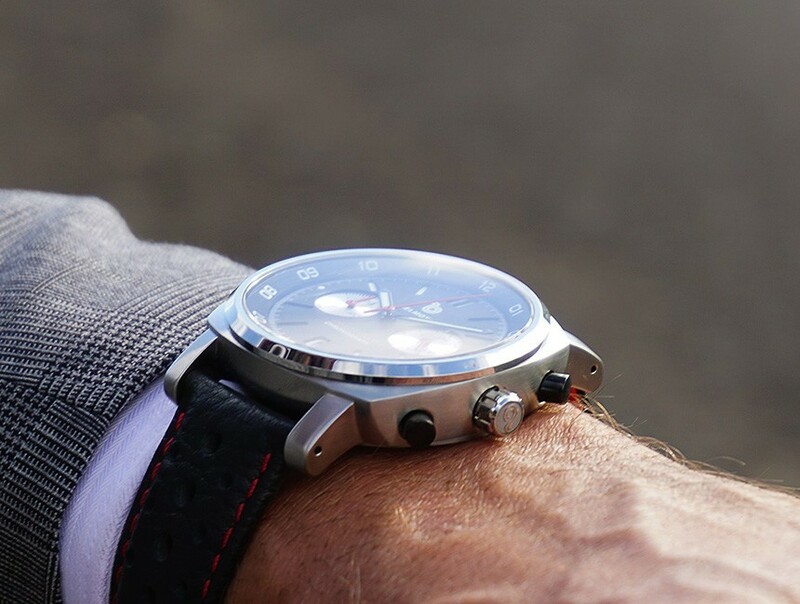 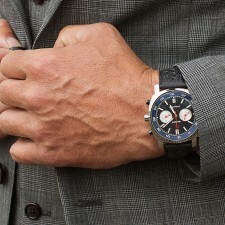 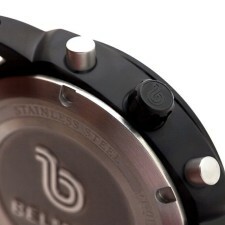 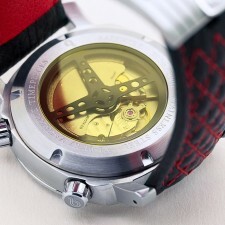 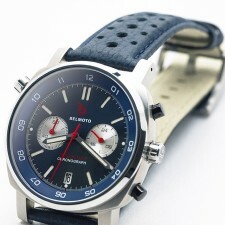 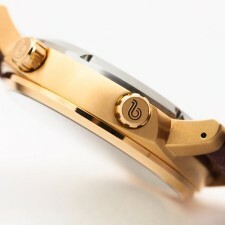 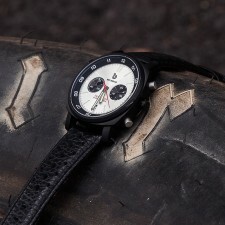 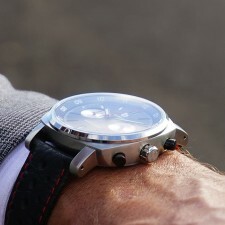 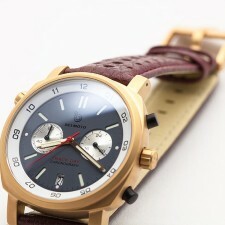 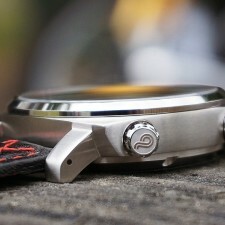 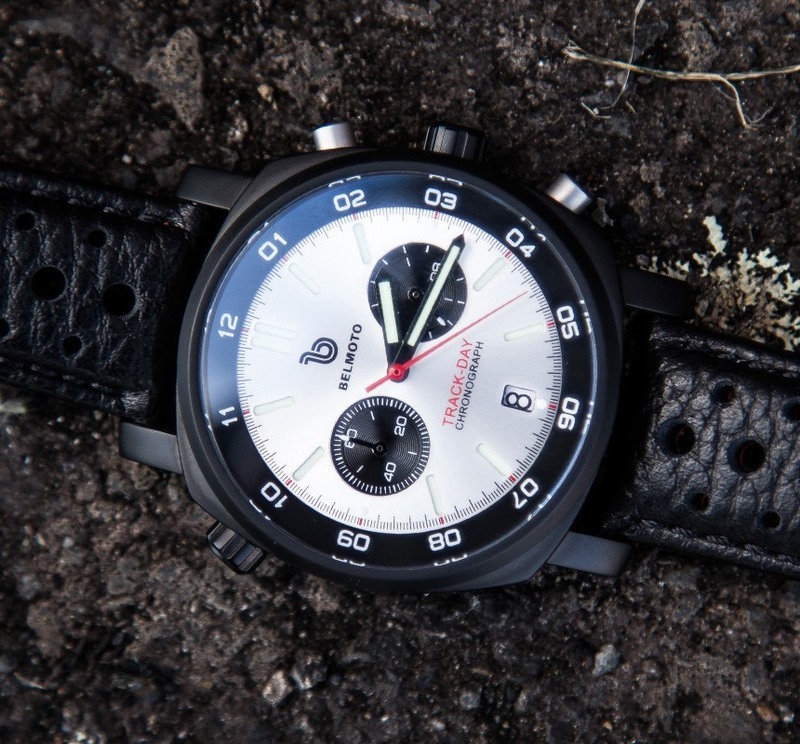 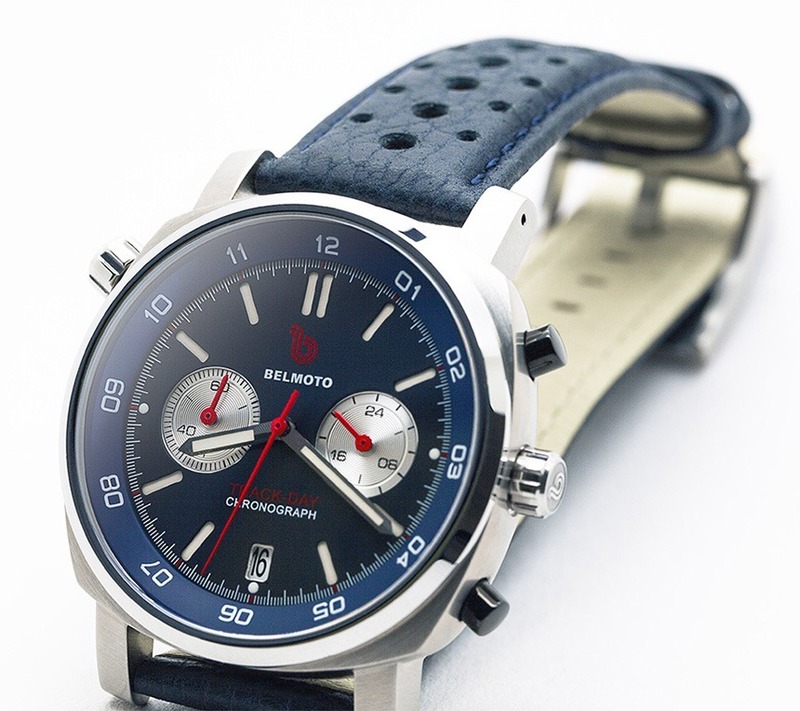 The more affordable – assuming you’re in a position to call $500 for a wristwatch affordable – of the two lines, the Track-Day (We desperately hope Belmoto considers offering a special Bro edition for Miata owners…) is a quartz chronograph built around a 42mm stainless steel case that’s home to a Seiko VK64 Chronograph Hybrid Meca-Quartz movement, C3 luminant and an anti-reflective-coated sapphire crystal. The whole enchilada is water resistant to 200 meters, and is available in four different dial, case and strap color combinations. 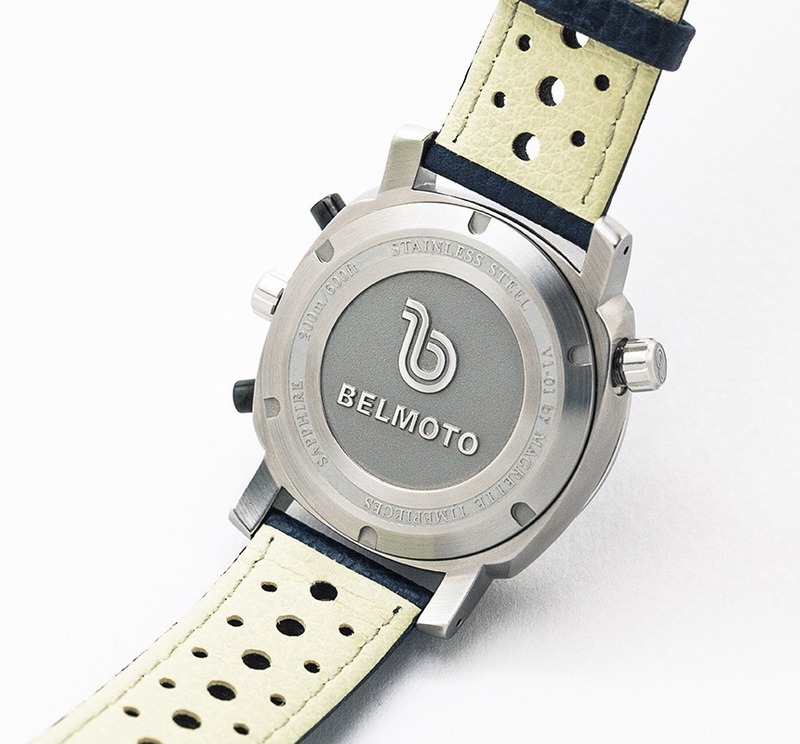 For Belmoto fanciers with more expensive tastes, the company also offers the $700 Tourer. It also has a stainless steel case spanning 42mm, and is also water resistant to 200 meters, but it gets its timekeeping life force from a Miyota 9015 fully-automatic movement. 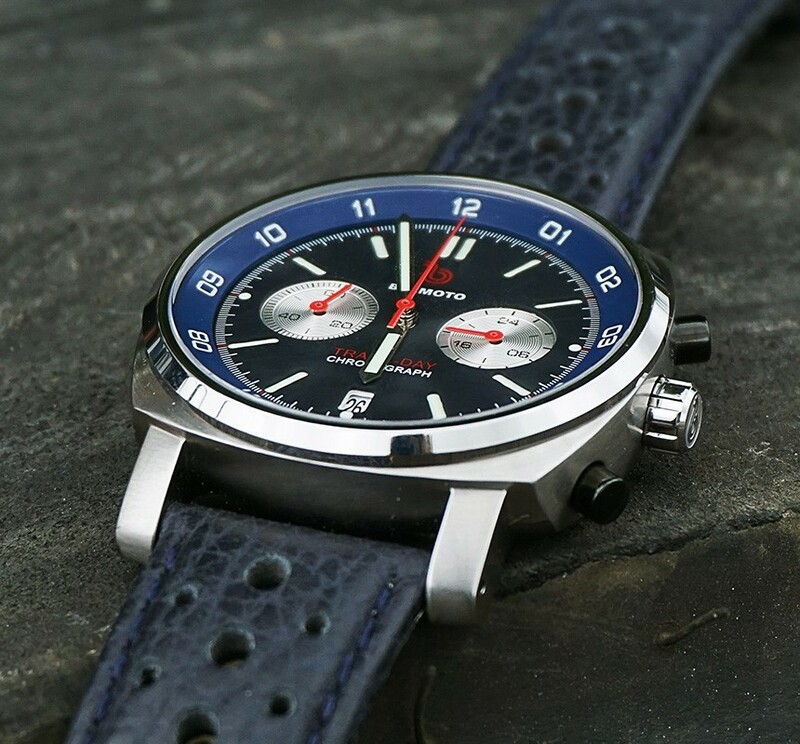 The Tourer is offered in three color schemes though, as with the four Track-Day variants, we don’t think you can go wrong with any of them. 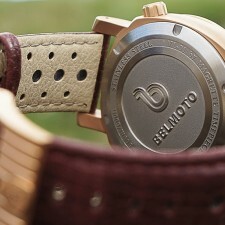 That should give Belmoto staying power to spare.